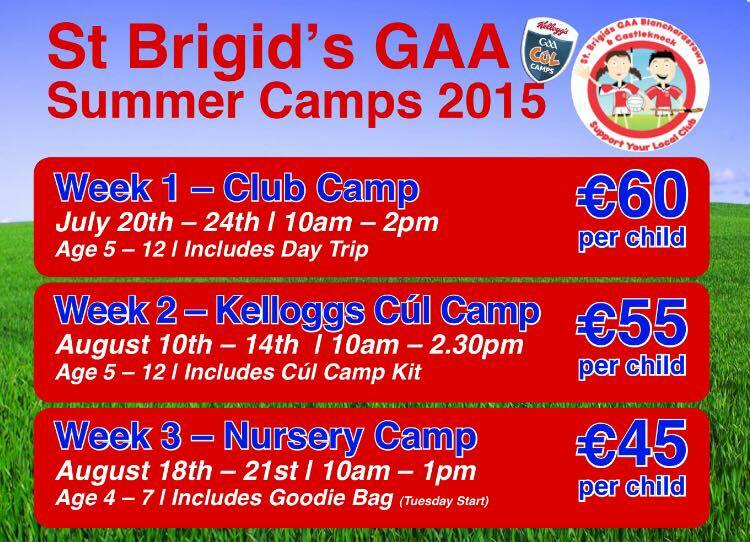 The St Brigids GAA Summer Camps will run for 3 weeks in July and August. Week 1: Club Camp - July 20th â 24th. Week 2: Kelloggs CÃºl Camp - August 10th â 14th. 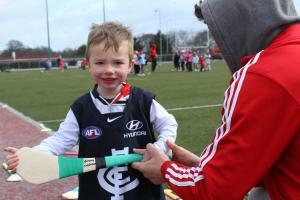 Week 3: Nursery Camp - August 18th â 21st (Tuesday Start) Age 4 â 7. For bookings and more information, contact Paul: 087 9154748.